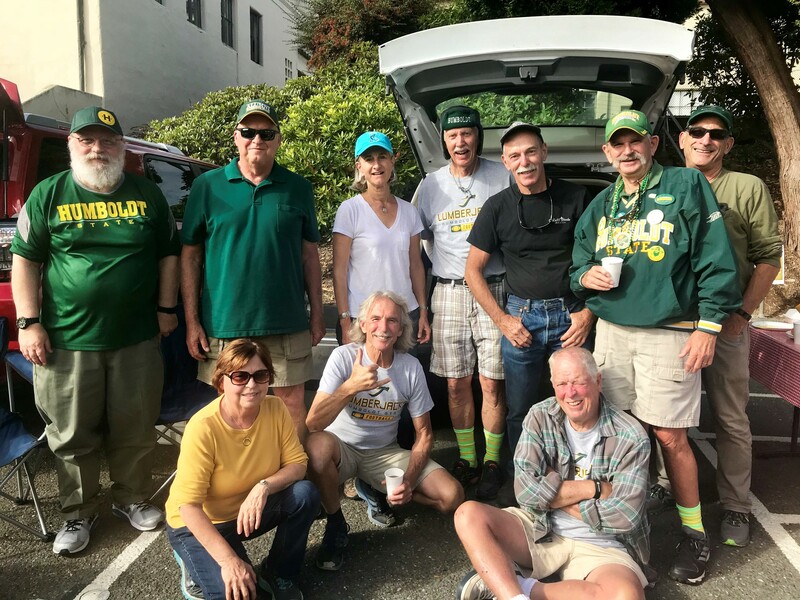 Redwood Hall alumni came together recently to celebrate 50 years since living in the residence hall while attending Humboldt State. More than 45 alumni and their guests made their way to Humboldt for the reunion. The weekend included dinner at Merryman’s Beach House in Trinidad with the Marching Lumberjacks, a stop at the Arcata Farmer’s Market on the Plaza, a tour of Redwood Hall, the Forever Humboldt Tailgate followed by the HSU football home opener, breakfast at the Samoa Cookhouse, and halibut fishing. Ron Melin (‘71, Geography) who organized the event isn’t surprised the group is still getting together after all these years.